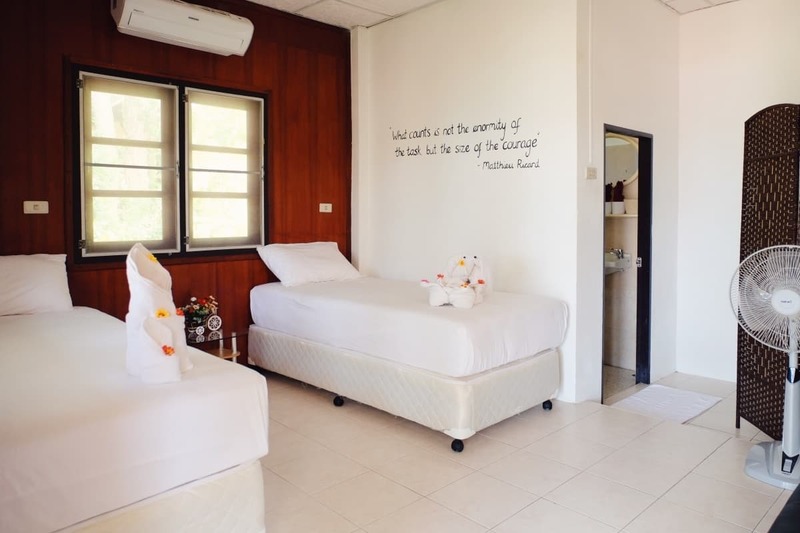 Samma Karuna’s primary goal at this detox retreat in Thailand is to provide a serene place for physical, mental, emotional and spiritual renewal and cleanse. With the ayurvedic detox, the school does not put one’s digestive system through a sudden change instead allows the system to naturally accept the juice detox and cleanse the body and mind of toxins. This process helps one feel lighter, more energetic and refreshed. The program introduces individuals to superfoods with a vegan approach, unlocking the benefits of herbs and plants, providing long term benefits and healing to students instead of just focusing short term goals or just weight loss. Every participant has an opportunity for a private session with a detox mentor after the first day of cleansing to help the school understand their medical conditions, dietary habits and general lifestyle which in turn helps to create personalised detox plans. The detox mentor follows up daily to guide through the detoxification journey as it may affect individuals differently. The Awakening Detox program includes a personal introduction meeting, ayurvedic consultation for body type assessment and current body imbalance, daily support & guidance from the mentors, tongue scraper, lymphatic cleanse, post cleanse meal and 4 daily imbalance correcting meals with a wide range of superfoods, vitamins, minerals, herbal teas, special ayurvedic herbs, fresh coconut water, smoothies and soups. Optionals include full access to the awakening & healing program with activities throughout the day, 4 massage or reiki sessions. The school offers additional complementary holistic treatments including Chakra balancing, Chi NeiTsang and more. Airport transfer is not included in the package. This detox retreat in Thailand is a unique and holistic experience that strives to be a sacred space for physical, mental, emotional and spiritual renewal and let’s one celebrate and rejuvenate for a wholesome, long term healing. 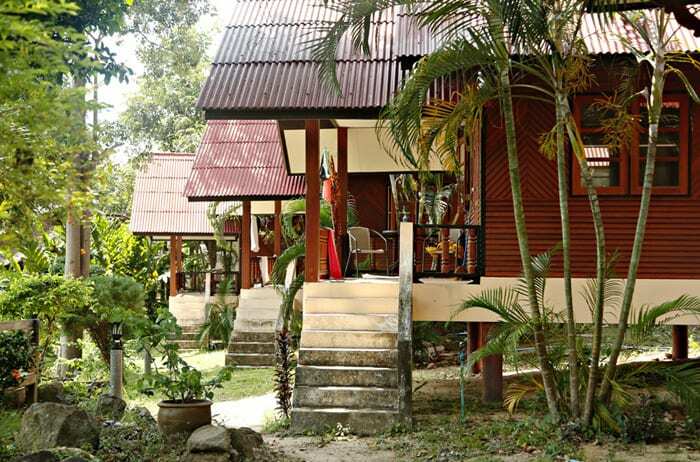 Nestled in palm trees, the beach and the jungle landscape, Samma Karuna Yoga & Healing School Koh Phangan, Thailand is an international school for awakening and healing. Their ideology to learn to live a more fulfilled, enriched & happier life based on principles of self-development, acceptance and celebration creates a mindfulness community. Their endeavour is to enable every individual develop their own plan to discover oneself and lead a happier life through the multiple options of yoga retreats & detox retreats to choose from. 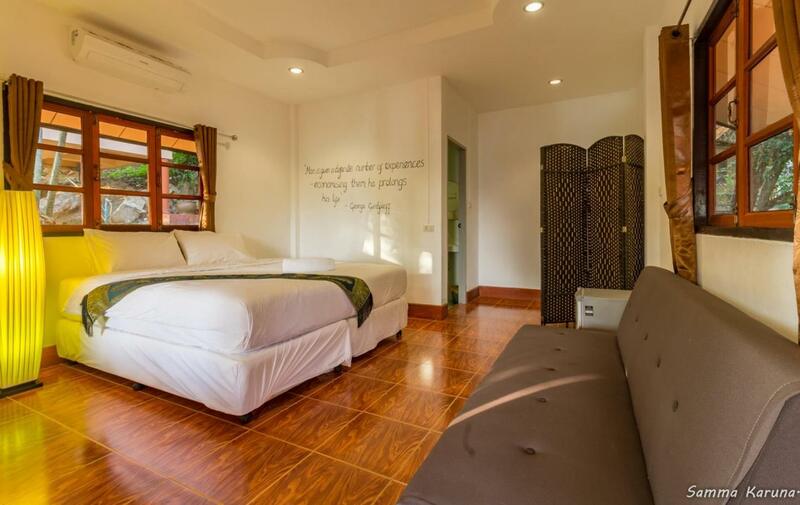 The property spread across 7000 square meters in the beautiful Koh Phangan serenity designed for self-development, healing and celebration hosts a vegan restaurant, beach area for relaxation with bonfire, art & expression areas, various chill out areas, garden areas and sauna & massage shop along with event halls. One can truly create a harmonic treat for their mind, body and soul with a unique & holistic experience with the ayurvedic detox programs including juice cleanse while enjoying the scenic tranquility of Thailand. 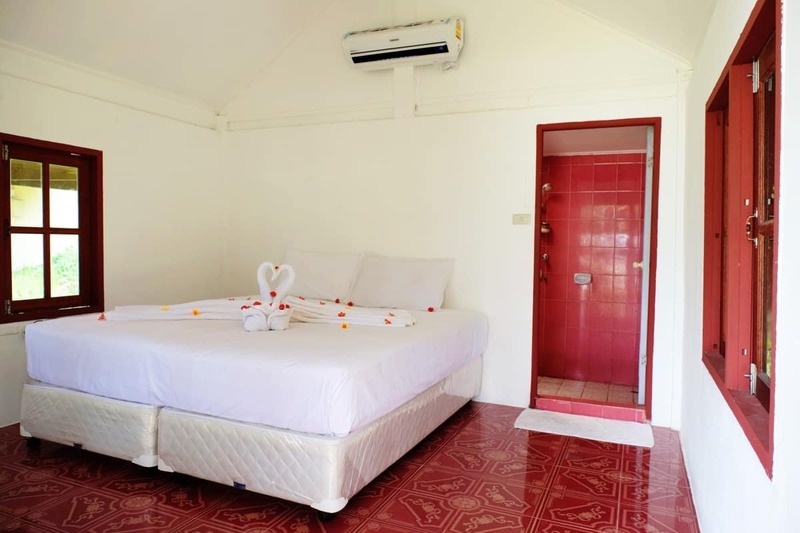 The nearest airport is Koh Samui International Airport, with a short ferry to Koh Phangan Island. 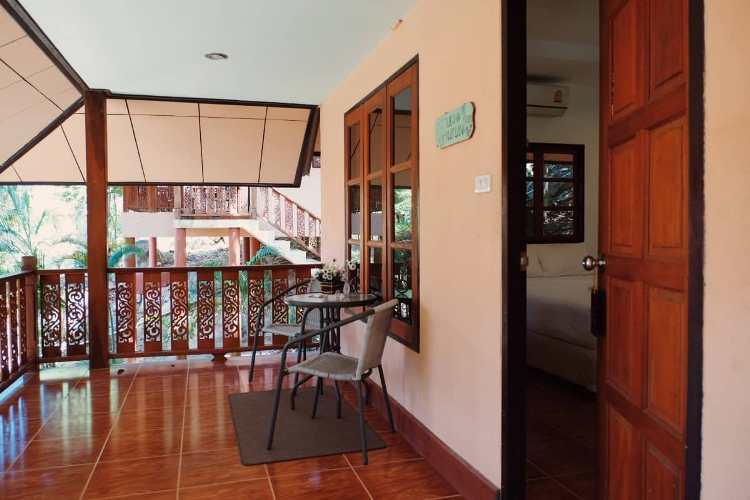 Samma Karuna is only 4 km north of the popular Tong Sala Pier. 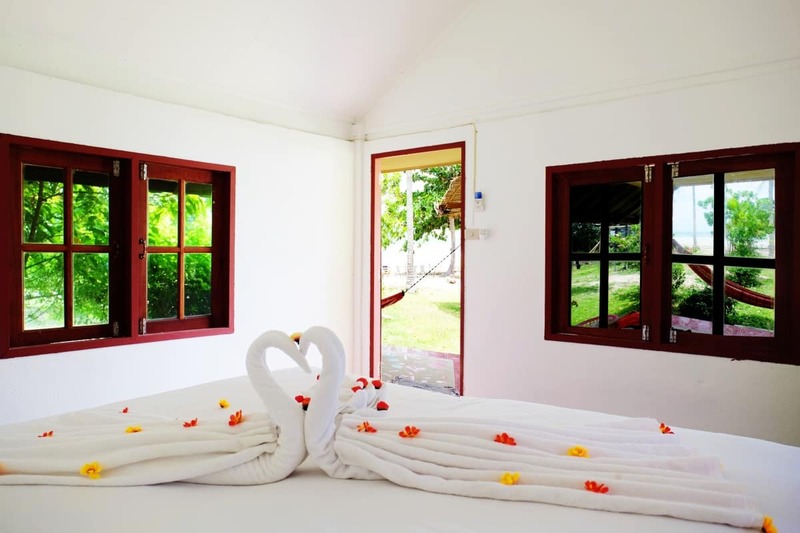 Located in a haven of sorts where one can rejuvenate, refresh and experience a fun vacation simultaneously, this yoga retreat in Thailand provides various options for accommodation during the course of the programs. 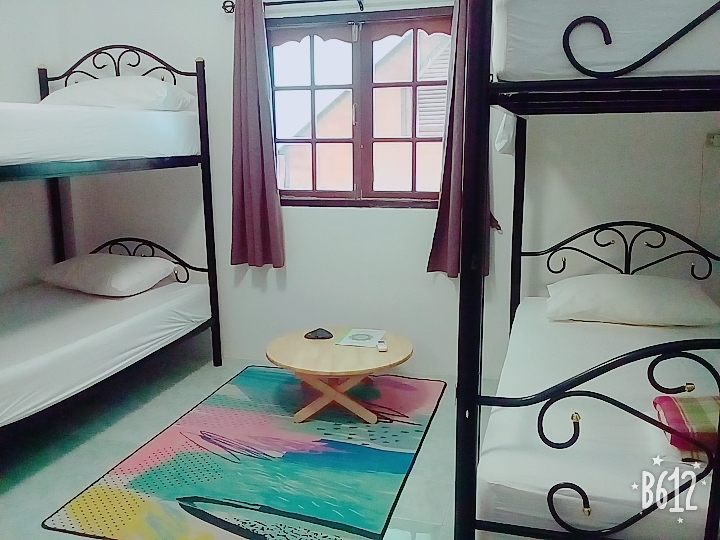 From simple bungalows with fans by the beach to spacious bungalows with AC by the beach and sea view - one can choose the category of program that suits their stay preferences. During the free time of the yoga retreat, participants can take walks along the tranquil beaches of Koh Phangan, a relaxing swim in the turquoise ocean, sunbathe under coconut trees, or just chill in the hammock with a book or two. To provide a much required break to the body and rid of the toxins, Samma Karuna focuses on providing ayurvedic, healthy and nutrient packed meals and juices to help with detoxification. Participants will also enjoy superfoods for essential vitamins & minerals, herbal teas, tasty and fresh coconut water and special Ayurvedic herbs to support the process. 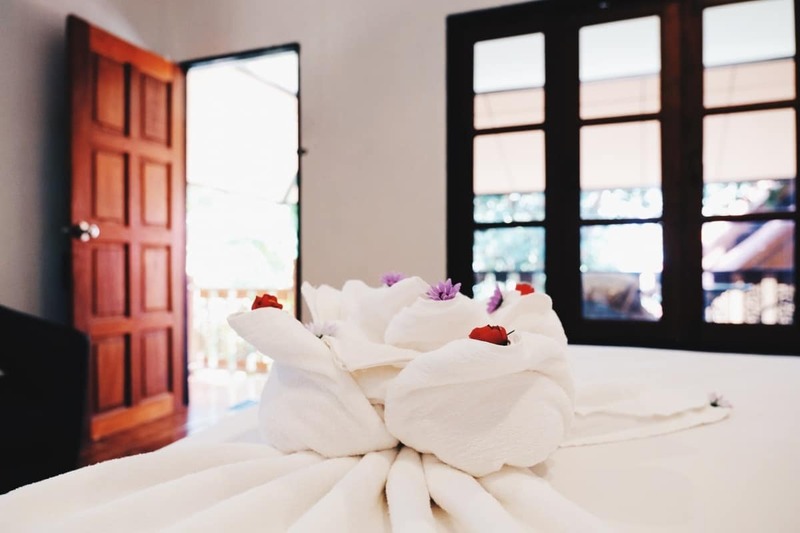 This detox retreat in Thailand believes in not being too hard on the body to help with cleansing but instead on overall healing and benefiting participants more long term. All meals are made with special care and mindfulness of individual needs. 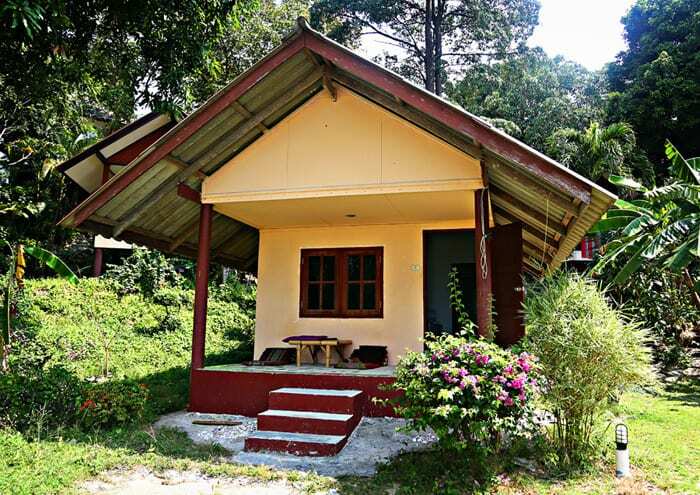 Standard private bungalow with air conditioner. 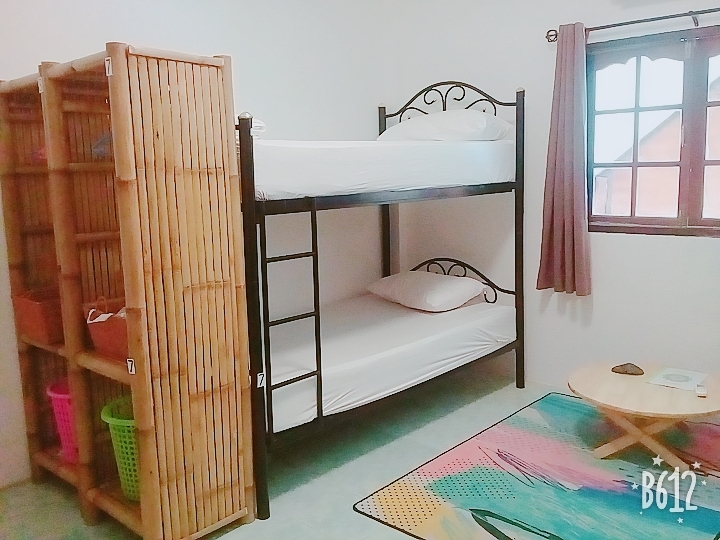 This type C accommodation is a bungalow with air conditioner shared with another student of the course.